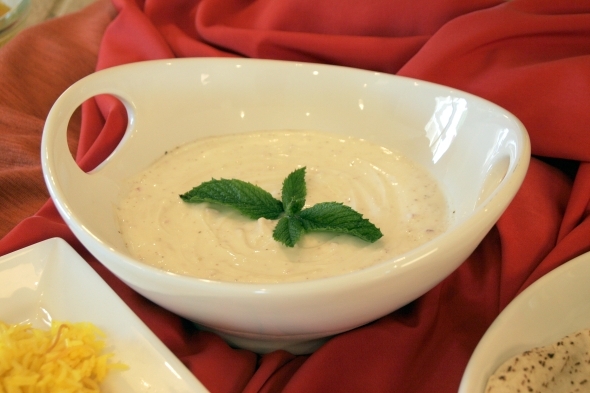 This yogurt sauce is a great accompaniment to Mediterranen/Middle Eastern grilled chicken and meat dishes. Mix yogurt, sour cream, and shallots in a small bowl. Add salt and pepper to taste. *Sauce can be prepared and stored for two days.